This activity desk has ended up being one of the greatest gifts we ever got my son. It actually is on my list of best gift ideas for 2-year old boys and is STILL one of my son’s favorite toys. 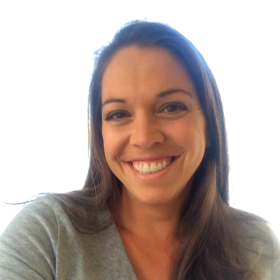 It’s no shocker why – not only is it a fun way to learn, it also serves a practical purpose. It’s a desk that’s just his size! And as I’m sure you’re realizing, 3 year olds want to do things just like you. So while I work at my desk, he works at his! This isn’t just my son’s favorite toy. It has become a necessity in our lives. There are few products I would replace immediately if something happened to it, but his Amazon Fire is definitely one of them. First, Amazon has an amazing feature that blocks all adult content and only allows preschool-age material (they call it FreeTime). Second, since he loves it so much, it is an amazing distraction to use when we’re at a restaurant, on a plane, or when I’m trying to get his sister asleep. And third (but really most importantly), he learns soooo much from it. Everyday I’m shocked by the things he is picking up! Even my train-obsessed little boy can’t get enough Legos. What’s unbelievable is that these little 3-year old boys are becoming old enough to actually follow the directions to build fairly complicated Lego structures! You can get Lego sets for anything imaginable, but the biggest hits are the obvious ones – fire trucks, trains, cars, and planes. Without a doubt, my son’s favorite is the fire truck. I’m not the world’s most creative mom and I definitely don’t like to clean up a mess, so I’ve pretty much avoided paint…until we were given these paint sticks. You hold them just like you would hold chunky crayons, but they color way more like paint. Somehow that seems to do the trick for him and he will play with his paint sticks far longer than he will with his crayons. This is one of those gifts that makes you realize just how smart 3-year old boys actually are. When my son first opened these, I thought “oh that’s cute, but there’s no way he’ll be able to do this on his own.” Holy moly, was I wrong! Within minutes he had created his first car and this became one of his favorite new toys! There are a ton of sets to choose from, but if you have a vehicle-loving child, nothing beats a set that includes wheels. The bubble machine is another toy that was on my Best Gifts for 2-Year Old Boys list that just. doesn’t. get. old. My son absolutely loves this toy and it dramatically increases the amount of time he spends running around and playing outside (which I obviously love). Not surprisingly, whenever other kids are over, they love it just as much and it’s perfect for a group of kids! Nothing they have to take turns with or share. I will not lie, play doh often feels like the bane of my existence. 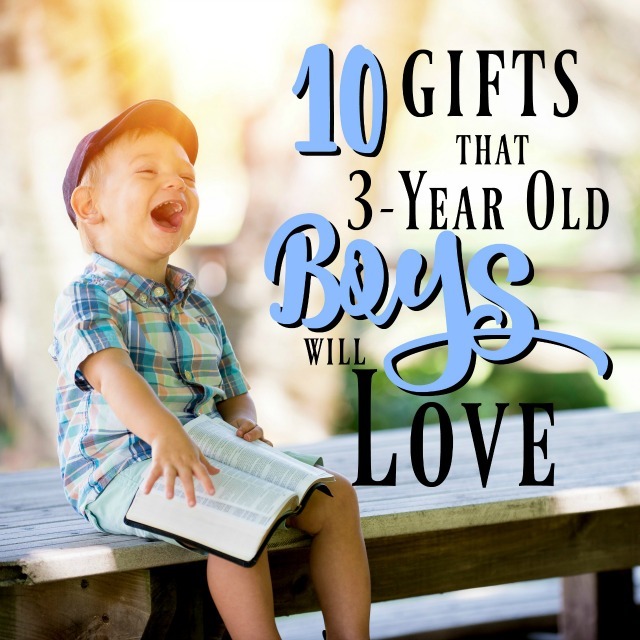 BUT, since this is a list for the 3-year old boys in our lives, it would be wrong to not list it – because 3-year old boys LOVE play doh. But since you can get (or make) play doh pretty easily, what you want to focus on for a gift are the creative and fun play doh tools that are out there. You don’t need to go crazy here. Often the most fun play doh tools are the classics – scissors, rolling pins, and presses. It’s time for sports! 3-year old boys are finally able to really appreciate sports and start to see things as more than just a ball to throw around. A little basketball hoop that can start out really short is the perfect gift for a 3-year old boy that has a clear sports streak in him. A great bonus with these basketball hoops is that you don’t necessarily need someone else with you to play, so they’re perfect for days at home when your 3-year old doesn’t have a playmate around. Oh boy, my son and his flashlight….like two little buddies off on an adventure. Seriously. Flashlights are one of the first “real tools” that little boys can play with and they will certainly put them to good use. After bed, in any room that doesn’t have windows, under a blanket, or in a box. My son’s favorite is his Thomas the Train flashlight (shocker! ), but you can find a ton of other cool character flashlights, or just opt for one that looks just like Dad’s! This is an easy-peasy add-on gift, and you just can’t go wrong with chalk for a 3-year old boy! The options are absolutely endless and as a parent I can say that this is an activity I will never say no to. He’s outside, being creative, and not doing something where he could break his neck (bonus points for that!). I’d love to provide you with a list of specific books to get for your 3-year old boy, but it really depends on what your child loves. What I will say is that 3-year olds LOVE to learn, so take advantage of whatever their current obsession is and buy them a ton of books about it! This is also a time when they can handle longer books, so you don’t need to stick with purely board books. They will enjoy a good story! My son received a Koala Crate for Christmas and absolutely loved it! It was a huge hit! Koala Crates are subscriptions (he had a 3-month one) where each month, your little guy gets a box in the mail with an activity to keep them busy. What I personally love about these was that the activities were truly age-appropriate – it wasn’t me doing the whole thing for him! It actually gave me really good ideas for other things he may be interested in and opened my eyes to new things I didn’t realize he’d love. This is a GREAT idea for a 3-year old boy that you’re unsure of (gift-wise ;-)). I hope this list was helpful! Let me know if I left off anything that your 3-year old absolutely loved! 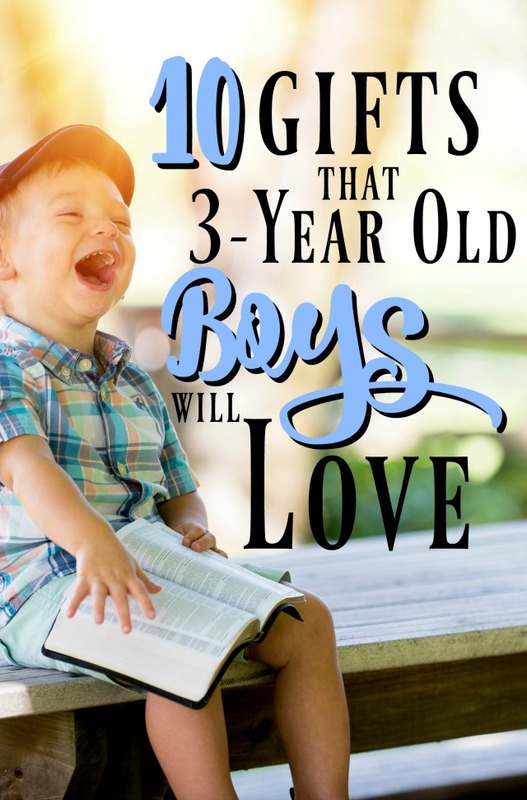 I know its tempting to have a “boys” list but really at 3 years old there are already so many different personalities of boys and girls that most of these lists should just be called “Some ideas your toddler might like”. I haven’t started getting the Lego City lego’s for my toddler yet though he is really interested in his sisters! We stick with the larger Duplo for now and they have a lot of great things. Another hit has been some easy assemble models like a moving tank, and a dragonfly. He really wants a remote control car because his big sister has one but I didn’t get that for him yet. great ideas!! thank you so much for adding! There was a movie called Cars where this character makes their first appearance. It is pretty good for younger kids, just a couple “scary” parts a couple car crash scenes, him getting lost, and a big combine chasing them in a field. Cars 2 on the other hand is like an action movie that just happens to have cars instead of Jason Bourne. SO if you can avoid watching that one with kids this young. There is even a scene where a car is being tortured! As toys though they offer lots of great play and the original movie is about finding a family and best friends in the most unlikely places and how to be a good friend. So its a good message too! I’ll have to have my son watch this! We’ve never seen it before. Thanks for the suggestion!